Join 27 million people worldwide and discover the latest Travel, Entertainment and Local Deals. Travelzoo’s global team of Deal Experts scours the market every day for the most outstanding deals and recommend only the best. Now, the free Android app makes it easy to find and take advantage of great deals! – Find high-quality travel, entertainment and local deals. – Purchase deals directly from your phone. – Browse the definitive list of the week’s most amazing deals with the Top 20®. – View and use your vouchers directly from your phone. 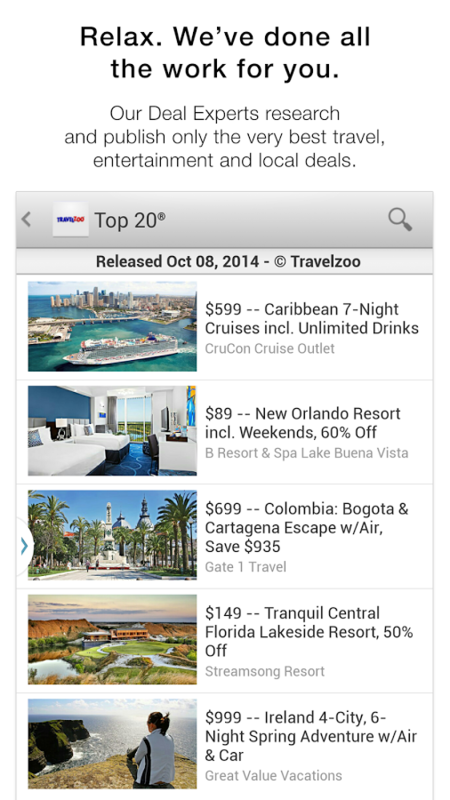 – Quickly tab between the Top 20®, Travel Deals, Local Deals and My Vouchers to discover deals. – Each Travel, Entertainment and Local Deal features a beautiful details screen to find the most important information when booking and purchasing a deal: gorgeous photos, deal highlights, instructions to book and source of deal. – Purchase Local Deals fast and securely in under four taps. – Easily sort Local Deals deals in your city or nearby by proximity (handy to look for immediate getaways in your traveling area). 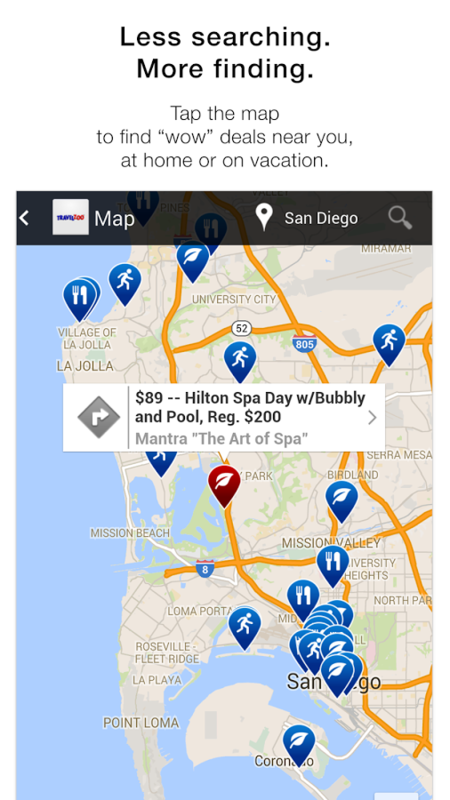 – Map deals based on location, right on the details screen of each deal – one of the most requested features from our subscribers. Since 1998, Travelzoo is the most trusted publisher of travel, entertainment deals and local deals. Our deal experts research, evaluate and test thousands of deals to find those with true value. We recommend only the very best deals whose price and availability we can confirm. We never publish a deal we wouldn’t book ourselves.